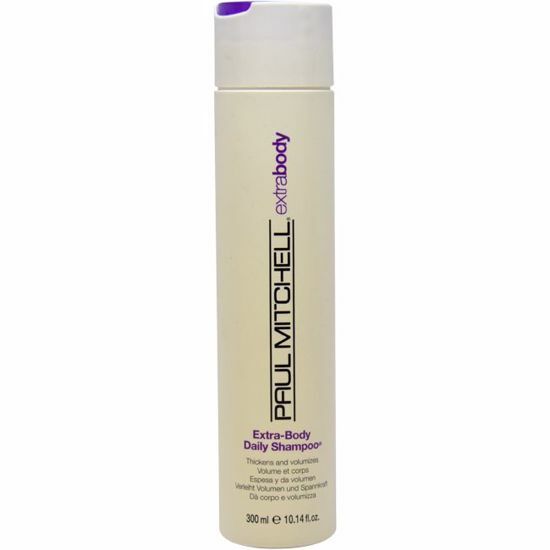 Paul Mitchell Extra Body Daily Shampoo works to thicken fine and normal hair. It effectively cleanses the hair, while panthenol and thickening conditioners help to increase volume and improve both wet and dry combing. Smoothes, softens and detangles all type of hair. Penetrates deep into the hair shaft where it displaces water and constricts the hair. A smoother surface and tighter diameter greatly reduce drying time and speed up styling time. Paul Mitchell super-skinny daily shampoo and conditioner smoothens and softens hair. It penetrates deep into the hair shaft where it displaces water and constricts the hair. Its mild suRFactants thoroughly cleanse without stripping the hair.